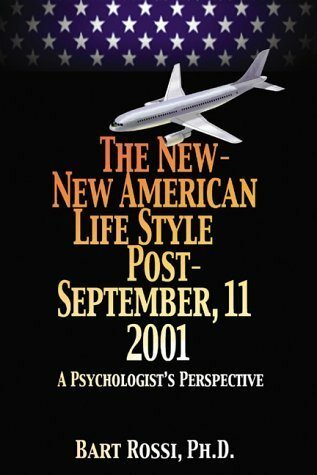 Out of evil, good may come – this is the perspective that Dr. Bart Rossi applies to the 9/11 disaster in The New-New American Life Style Post – September 11, 2001. 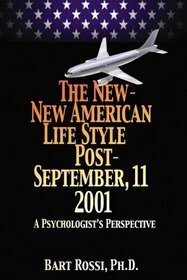 While decrying the event itself and the twisted minds that planned it, he analyzes America’s reaction to the tragedy and sees reason for hope. He believes that the ‘90s were an era of national greed and frivolity and sees a new resolve and a higher purpose in the nation today. The effort against terrorism requires us all to sacrifice, but Dr. Rossi feels that such sacrifice is not without its own rewards. He believes that the effects of 9/11 will be long lasting, particularly as they affect the political system. He sees a move towards a more civil and thoughtful America, and he feels this bodes well for the future.